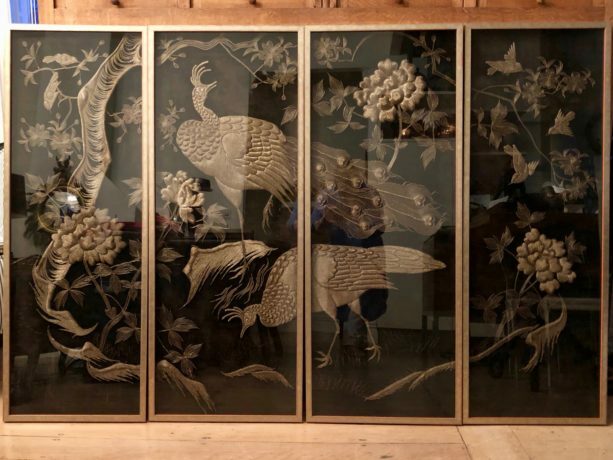 A Chinese four panel velvet screen in gilt metal thread, depicting peacocks in a field of Peonies. 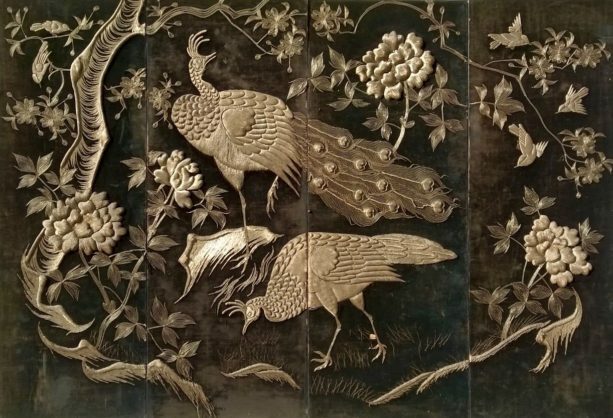 In Chinese decorative art, the peacock symbolizes grace and beauty and was a symbol of the Ming Dynasty, representing power, prestige and rank. 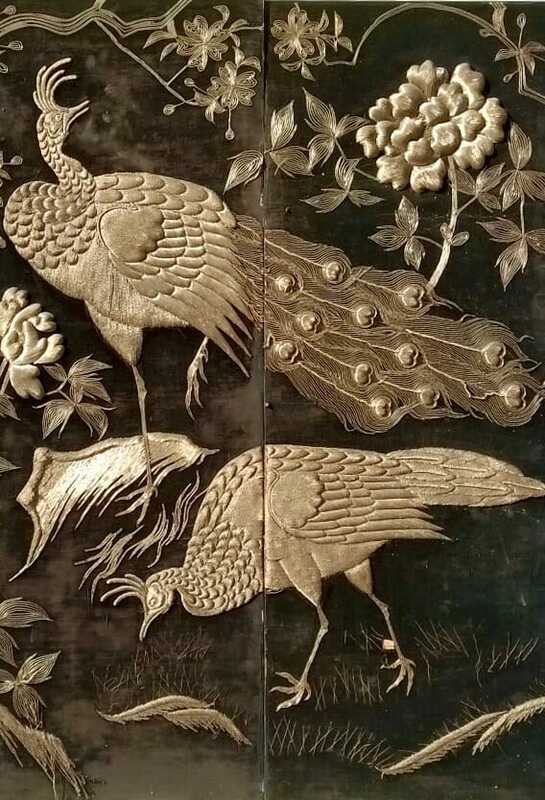 The peacock with its tail of 100 eyes is also associated with the goddess Guan Yin. 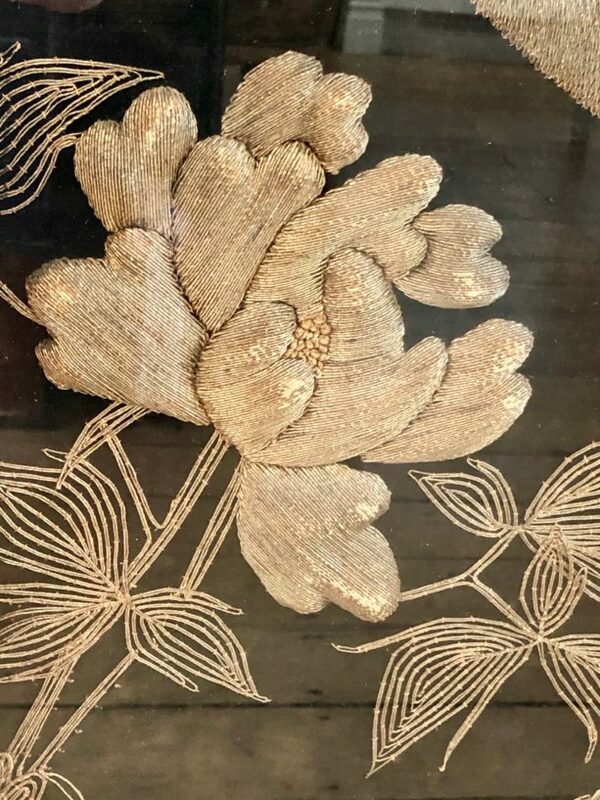 The Peony is a traditional flora of China and is also known as the ‘flower of riches and honour’ or ‘king of flowers’ commonly used in decorative art. 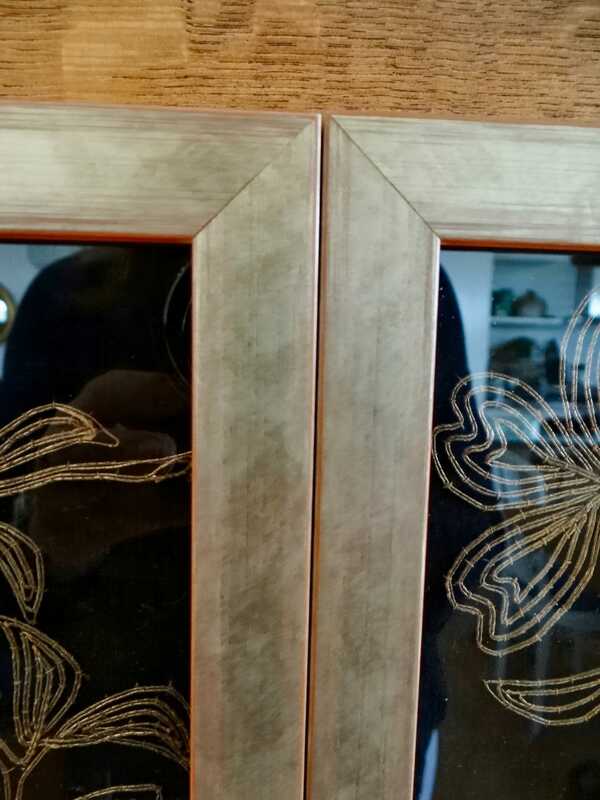 The screen has been newly mounted in gilt wooden frames and would look great above a bed or as wall art.